Organization and access are the watchwords when storing your makeup. If you’re like me, someone with limited space but lots of product, keeping all your favorites organized and accessible in one space can be challenging. In today’s video, I’m giving you a glimpse behind the scenes of my daily makeup storage/application area and I show you how I whipped my makeup collection into shape for easy access and frustration-free mornings. As with most things in my life, this video demonstrates a work in progress with some work yet to be done. Cheers to organizing your makeup my lovely! This video was inspired by The Konmari Method. The full system can be found in The Life-Changing Magic of Tidying Up: The Japanese Art of Decluttering and Organizing by Marie Kondo but to be clear, I am not using the Konmari Method in this video. It’s just a jumping off point. 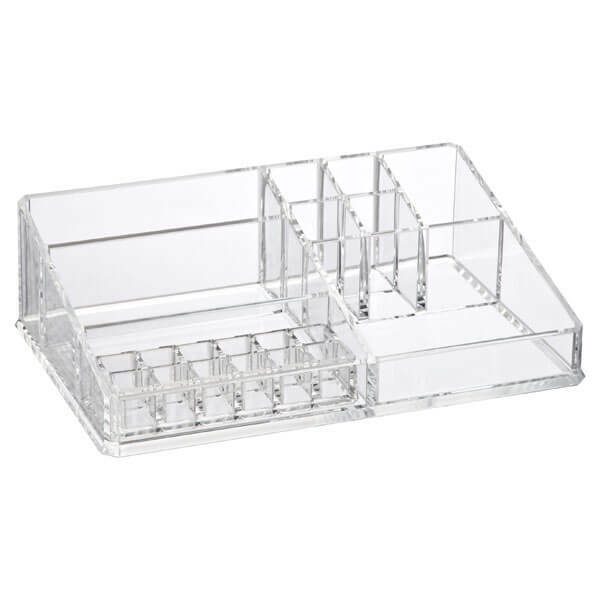 This is the cosmetics organizer featured in the video that I purchased from the Container Store. I got it on sale but even at full price, it’s totally worth the coins. I love the organizers at the Container Store because they’re customizable and buildable. 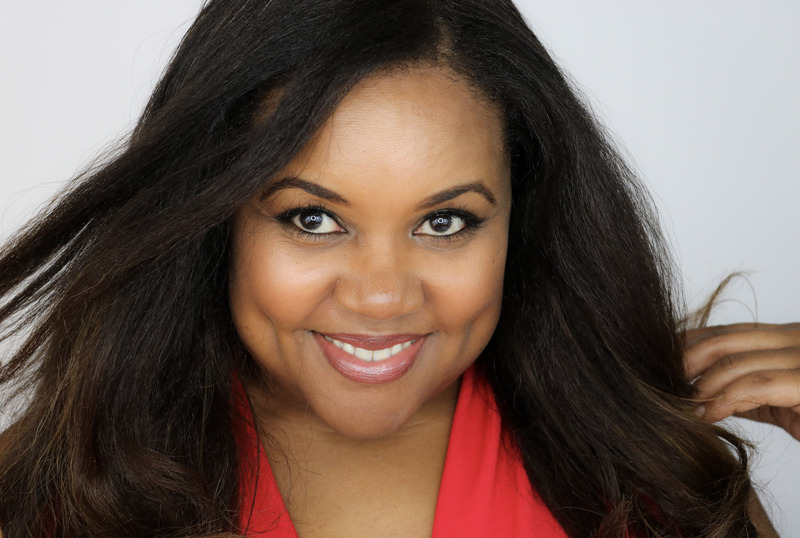 You can start off with the basic pieces, build as your makeup collection grows and maintain a consistent look throughout the process. I also found some other options here and here and GLAMboxes has acrylic organizers with built-in brush holders, drawers and dividers. Group like items together. For example, keep all your foundation products together (concealer, foundation, primer, etc.) because it’s easier to move through the steps if you don’t have to hunt around for each product. Same goes for eyeliners, eye shadows and lipsticks. 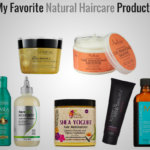 Separate daily beauty products from special occasion products. Try storing the special occasion items in a different container to reduce clutter. Use non-traditional storage solutions. Pencil holders work well for storing mascara and lip gloss tubes as well as eyeliner and lip liner pencils. Choose see-through storage containers. Nothing adds more time to your morning beauty routine than hunting through closed drawers for products. Clear acrylic containers are great for keeping your products visually available and free from dust. Here are a few options for small makeup collections, mid-sized collections and large collections. I hope you enjoy the behind the scenes look in the video and please let me know what other videos you’d like to see. Drop a comment here on the blog or on the video, your choice! See you soon! 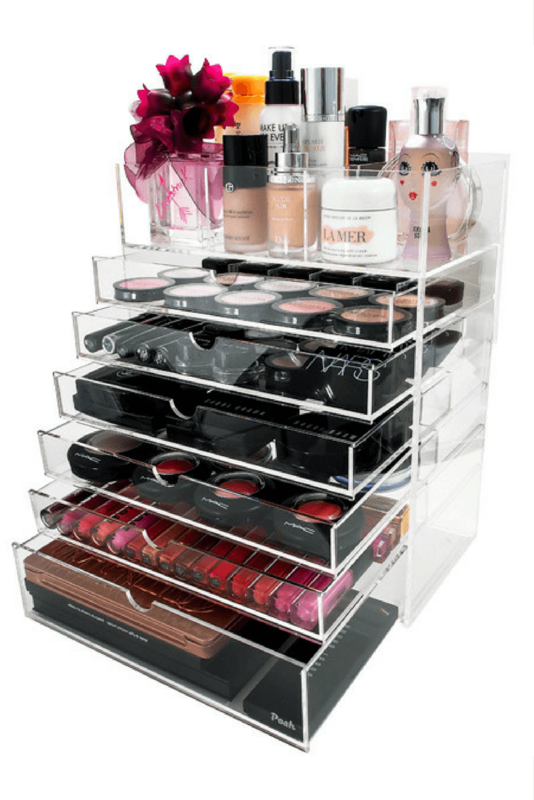 Use clear acrylic storage options to organize makeup while keeping it visible and accessible. I got a lipstick organizer from the container store, an acrylic organizer from amazon and I’m also looking into getting the spinning lipstick organizer from a site that sells make up organizers (can’t remember the name of the site). You are definitely on it Oyinkan! I have a few more to buy as well as I still have a lot of overflow products. Storing make up properly is very important as it prevents you from wasting time looking for a particular product. You know I actually have like 5 of these thingys. I will be honest I am not good with filling them up properly I need to do better. But they’re so pretty!! Whip ’em out and get started honey! Very nice, I don’t have a ton of make up. I only use about 3 products, but having a place for everything you use is classy. I love the clear container. I have a lot of stuff and I keep buying more because I lose things. I definitely will be looking into a good organizer. I need this. My bathroom counter is ridiculous! I am definitely in market for something new! 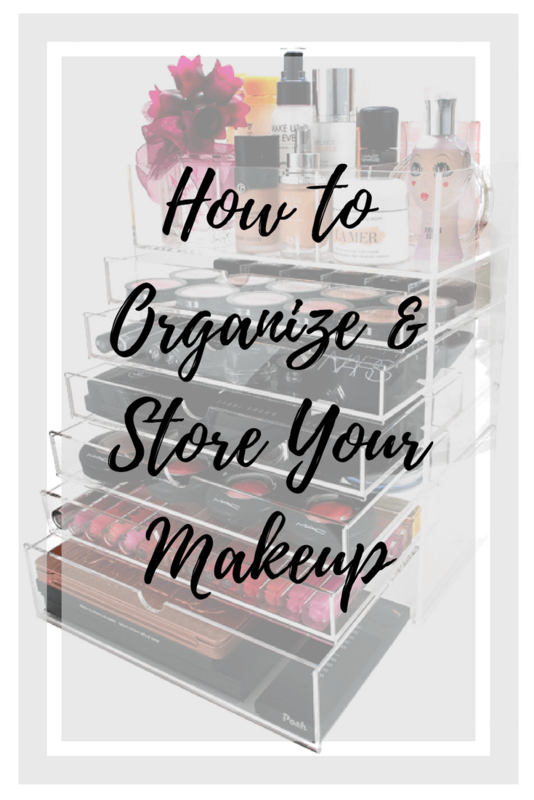 Great Blog post, because who doesn’t dream of organized makeup!!?? 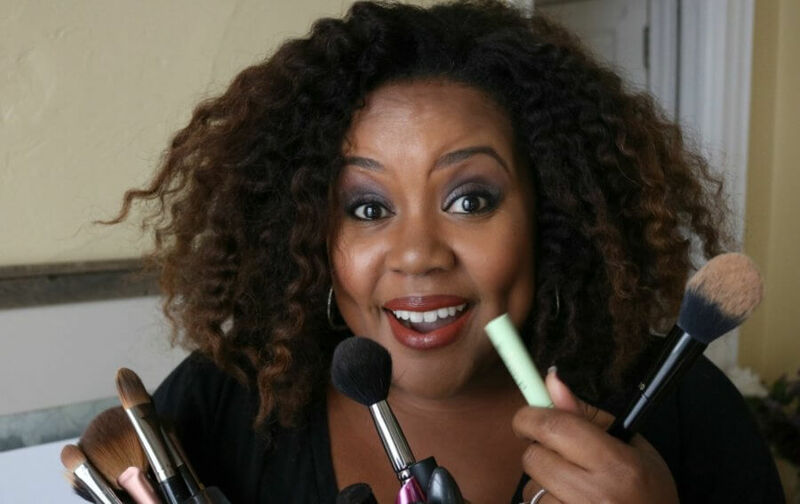 A big challenge with keeping makeup organized is when it ͞migrates͟ from the beautiful acrylic holder to a purse or a makeup bag to use when traveling or getting ready on the go. We’ve all been there, I know my mascara is in here somewhere! Where’s my eyeliner? I can’t find my… only to make an emergency stop to pick up another items already own because it’s not with us when we need it. I love these! While I don’t wear a lot of makeup, I do have a similar one store my FOUR items: 2 eyeliners, and two mascaras. I have hair pins and ties in the other compartments. I love those clear organizers. I barely have any makeup but I have an organizer similar to the one you posted. One day when I’m a big girl and have more makeup I’ll be as organized as you.